BAGUIO CITY –Mayor Mauricio G. Domogan admitted the slight delay in the ongoing rehabilitation of the city-owned Baguio Convention Center because of the alleged differences between the local government’s technical personnel and their counterparts from the Cordillera Office of the Department of Public Works and Highways (DPWH-CAR). The local chief executive claimed that the rehabilitation project was suspended by the DPWH-CAR for quite some time to pave the way for the reconciliation of the differences between the technical people of the local government and the implementing agency that is why the supposed completion of the project this March will not be realized. “We really want the rehabilitation project to be completed the soonest with all issues and concerns of both parties addressed so that we will be able to have a convention facility that we can be proud of since the Baguio Convention Center is our premier public gathering venue,” Domogan stressed. He commended Councilor Maria Mylen Victoria G. Yaranon for being able to present to the DPWH-CAR officials the concerns of the local government on the ongoing rehabilitation of the city’s premier convention facility wherein most of the issues have been addressed except for a few that are now being ironed out for the project to be given the go-signal to proceed. According to him, one of the issues being tackled by the technical people is the type of materials that will be used in the flooring of the convention center so that the sound that will be generated inside will not echo for better sound quality within the facility, thus, concerned parties will have to their homework on the matter. 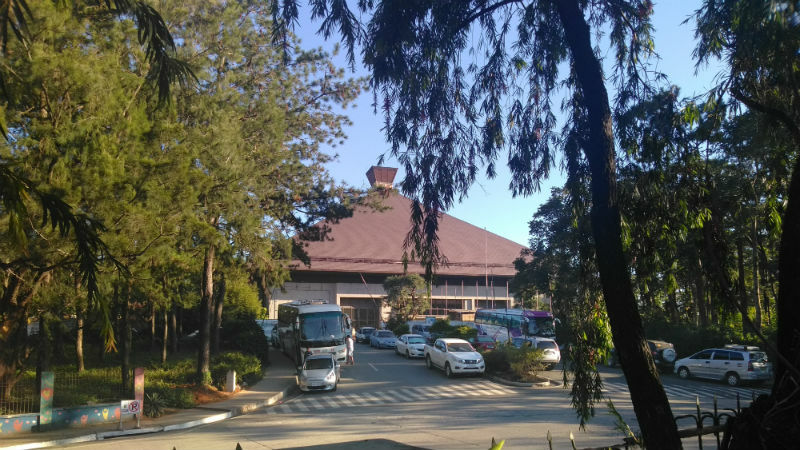 Earlier, the public department earmarked some P180 million from the 2018 annual budget for the proposed rehabilitation of the city-owned Baguio convention Center purposely to increase its capacity and improve its current state. The project was bidded out by the agency in December 2017 and was subsequently awarded to the winning local contractor that resulted to the prosecution of the works in March 2018 wherein the same should have been completed last month. Domogan expressed optimism that the unresolved issues on the project will be resolved by the concerned parties the soonest so that the contractor will be able to work on the remaining works for the immediate use of the facility considering the numerous local, regional, national and international groups wanting to use the facility for their gatherings in the city. The 40-year old structure was built by the Ministry of Human Settlements which was then headed by former First Lady and now Ilocos Norte 2nd district Rep. Imelda Romualdez-Marcos to serve as the venue for the world chess championship match between world champion Anatoly Karpov and Victor Korchnoi that helped in placing Baguio City in the map of the world as one of the premier sports venues for different competitions. He added that once the rehabilitation issues shall have been patched up by the involved technical personnel of the local government and the DPWH-CAR, the contractor will resume the ongoing works and will complete the programmed rehabilitation works within the timeframe excluding the period when the project was suspended.